Today the Gold Coast Music Awards unveiled 31 finalists across eight categories for its 2019 edition, which will be celebrated with an illustrious beachfront event in the iconic Surfers Paradise, 2 May. Australia’s golden girl, Amy Shark leads the charge again with four finalist nods this year; including Release of the Year for her debut album, ‘Love Monster’ and Song of The Year for hit single, ‘I Said Hi’. “I’m so proud to call the Gold Coast my home and incredibly honoured to be recognised amongst my peers. Thank you to the Gold Coast Music Awards for supporting local talent and for helping me pave a career in this incredible country,” said Shark, on the back of a smashing year of national and international success. Fast rising country music star, Casey Barnes, who is headlining the Gold Coast Music Awards free live concert, is up for four gongs too, acknowledged in the Live Act category as well as going head to head with Shark for Artist of The Year. Emerging artists San Mei, Mass Sky Raid and Ella Fence are all finalists in three categories, while Peach Fur, Athena Joy and ELSKA make their GCMAs debut, nominated for Release of the Year and Songs of the Year, respectively. 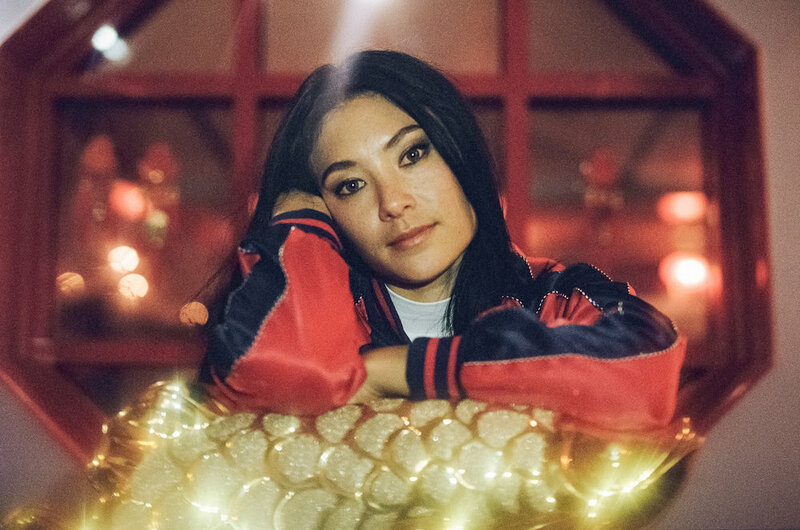 2019 is already proving massive for dream-pop starlet, San Mei, who just inked a US booking deal with United Talent Agency on the back of standout South-By-Southwest showcases and a summer of performances on Australia’s biggest festival stages, including Falls and Laneway. “But this is a good thing, because it means the caliber of artists making it to the shortlist is getting higher and higher, which also makes the whole process a lot more fun for us. “This year, Release of the Year presented the biggest challenge of all - it was so close, we kept coming back to it. We have very clear criteria in place for all categories that keep things objective and fair, but when a hair's breadth separates contenders for first prize, it's always a tough call!" Gold Coast Mayor Tom Tate said he did not envy the judges. “What a tough gig they have trying to decide the various category winners. I’m delighted to see 31 finalists as it underscores the growing depth of our music scene here on the Coast,“ he said. Set to be hosted by Australia’s queen of roots, former triple j and now Double J presenter, Sarah Howells, the Awards ceremony takes place 2 May in a ticketed VIP marquee on the Surfers Paradise beachfront adjacent to the massive festival sized stage for the free live concert. As with previous years, organisers anticipate the VIP event to sell out quickly, with tickets on sale now via Oztix. Large crowds are expected to attend the free live outdoor concert, which this year features an exciting lineup of the region’s fastest rising stars - Casey Barnes, San Mei and Peach Fur. Gold Coast Music Awards officially kicks off the Surfers Paradise LIVE festival, a free, four-day, family-friendly festival renowned for presenting an iconic line-up featuring some of the best-known Australian artists, this year including The Living End, Hoodoo Gurus and The Screaming Jets supported by Daryl Braithwaite, Jebediah, Reece Mastin, Thirsty Merc, Chocolate Starfish, Boom Crash Opera, and Bachelor Girl. The Gold Coast Music Awards is proudly supported by City of Gold Coast and Surfers Paradise Alliance. All finalists will be eligible to enter the People’s Choice Awards. People’s Choice finalists will be celebrated with a special industry launch event to be held at Skypoint on 16 April. This award will be chosen by popular vote through a combination of online, social media and in-person voting on the Awards night, 2 May. Amy Shark needs no introduction, with the success of her ‘Night Thinker’ EP and debut album ‘Love Monster’, she quickly became internationally adored. After years in the making, Shark has received widespread recognition in the last two years, with her breakout single ‘Adore’ reaching #2 on the ARIA singles chart and Triple J’s Hottest 100 countdown (2017), and also won ARIA awards for Best Pop Release, Best Album and Best Female Artist (2018), an APRA award for Pop Work of the Year (2018) and the prestigious Vanda and Young songwriting competition (2018). Shark has toured extensively in Australia, UK, Europe and the USA, playing Splendour In The Grass, Laneway, Groovin’ the Moo, Bassinthegrass, Austin City Limits, SXSW and Lollapalooza festivals; opening for Vance Joy in the USA; and appearing on The Late Late Show with James Corden and The Tonight Show with Jimmy Fallon. Kicking off as a DIY dream pop project, San Mei has come a long way since her first EP, ‘Necessary’, which initially gained her attention from national tastemakers Triple J, NME and NYLON. Momentum built with the formation of her band and through the collaboration with acclaimed producer Oscar Dawson on her second EP ‘Heaven’. Both of San Mei’s latest singles ‘Wonder’ and ’Heaven’ garnered rave reviews and were put into Triple J rotation. Recently, San Mei has gone from strength to strength, playing at Falls Festival, JD Festival, BIGSOUND and SXSW 2019 in the USA; featuring on BBC Radio 1, HIT FM, community stations and Triple J; and receiving substantial label and industry attention. FINALIST: ARTIST OF THE YEAR, BREAKOUT ARTIST OF THE YEAR, SONG OF THE YEAR. Critically acclaimed Australian act, Hussy Hicks are a tour de force featuring Leesa Gentz’ powerhouse soul vocals and Julz Parker’s revered guitar skills. Prolific and well accomplished musicians, Hussy Hicks have honed their sonic dexterity over the past 12 years with six studio albums, multiple industry awards and more than 1,000 live shows under their belts. They’ve performed at Australia’s biggest blues, roots and folk festivals, clocked up 15+ international tours and are selling out shows across Europe. Known for their emotive lyricism, energetic live shows and fiery, frenetic instrumentation, it’s no surprise this all female, four-piece band have staying power. Golden Guitar Finalist, Casey Barnes, is making a monumental impression on the Australian country music scene. He’s had hits in Europe, recorded and toured in America, and performed alongside many international stars including Mariah Carey, Lady Antebellum and Bryan Adams. Barnes has rocked the stages of Caloundra Music Festival, Groundwater Country Music Festival, Tamworth Country Music Festival, Gympie Muster, CMC Rocks, and 'A Day On The Green' (with Mariah Carey); as well as TV appearances on Sunrise, The Morning Show, and Foxtel’s AFL 360. Barnes’ single, ‘Ain’t Coming Home,’ from his new album, ‘The Good Life’ (2018), enjoyed two consecutive weeks at #1 on the Country Tracks Top 40 Chart and hit 2.3 million streams on Spotify. His latest single ‘Better Days’ could be a prediction, as 2019 is set be his biggest year yet. Mass Sky Raid have had a big year, announcing a show at Brisbane’s Progfest, and securing major international support slots with TRAPT (USA) in February. The Gold Coast alternative/rock outfit, released their debut EP ‘Courage Under Fire’ in 2013. With rave reviews, including rock bible Blunt Magazine giving their album a 4.5 star rating, Mass Sky Raid quickly secured support slots with Dead Letter Circus, Twelve Foot Ninja, and I Am Giant (UK). With ongoing support from radio stations including Triple M, 4ZZZ and 2FBi, and over 40 other stations worldwide, including BBC1 & BBC6 in London, their debut album “Science of Fiction” was highly anticipated. With their recent singles receiving significant airplay, Mass Sky Raid are one rock band to watch. Former bassist and keyboard player for the Grammy award winning band, Wolfmother, Ian Peres has been sweeping the nation with his high energy, rock solid performances for over a decade. A talented multi-instrumentalist, Peres has been spending his time since Wolfmother creating sensational music with fellow artists. Between releasing his brand new collaborative album with Luke Reichelt, ‘Oh! The Everything’; getting ready for an epic European tour with Xavier Rudd; and rocking a long list of iconic festival stages, including Woodford Folk Festival and Summer Salt Festival, Ian Peres’s career is clearly still on the rise. Infusing playfulness and wonder into the Australian pop music industry, Gold Coast artist Elska has redefined the humble harp, marrying the delicate instrument with the power of a loop pedal. Her debut single ‘Boy’, and its predecessor ‘Going Down’ were recorded at Brighton Electric Studios UK, with prominent British producer Dan Swift (Passenger, Snow Patrol). In a monumental 18 months, Elska signed a management deal, recorded her EP in the UK, released a short music documentary titled, 'Heart + Harp’, crafted a unique Library Tour, spoke at an official TEDx talk, and rocked the stages of Caloundra Music Festival, BLEACH*, Australian Music Week, Adelaide Fringe Festival and will soon be headlining the National Folk Festival. Electrik Lemonade is a band of funklords that combine their energetic and comedic live show with an explosive repertoire of original, fun music that always leaves their crowd on a high. Since their debut in 2010, Electrik Lemonade's live performances have rapidly grown as they play to crowds at premiere live music venues and festivals from Far North Queensland to Sydney. After the release of their third EP ‘Funklore’ (2015), Electrik Lemonade have continued their incredible run of good times, including national television appearances; playing the East Coast’s most renowned music venues; and rocking the the festival stages of Surfers Paradise Live, Stanthorpe Apple & Grape Fest, Airlie Beach Music Festival and Caloundra Music Festival. As humble as he is talented, Scott French has become a behind-the-scenes musical superhero. An expert guitarist who also plays the occasional mandolin, bass, ukulele, drums, trumpet and keys, French is now known as a jack of all trades within the music industry. French has provided the soundtrack to many of the Gold Coast’s most recognisable and successful acts, including Cheap Fakes, Phil Barlow, Allensworth, Felicity Lawless and The Lamplights. As an audio engineer and producer at Lovestreet studios since his late teens, he has also shaped the musical journey of many local musicians.